I love making 3x3 cards. They come together so quickly and they're so cute! I made this little card for a special little girl who turned one this week. 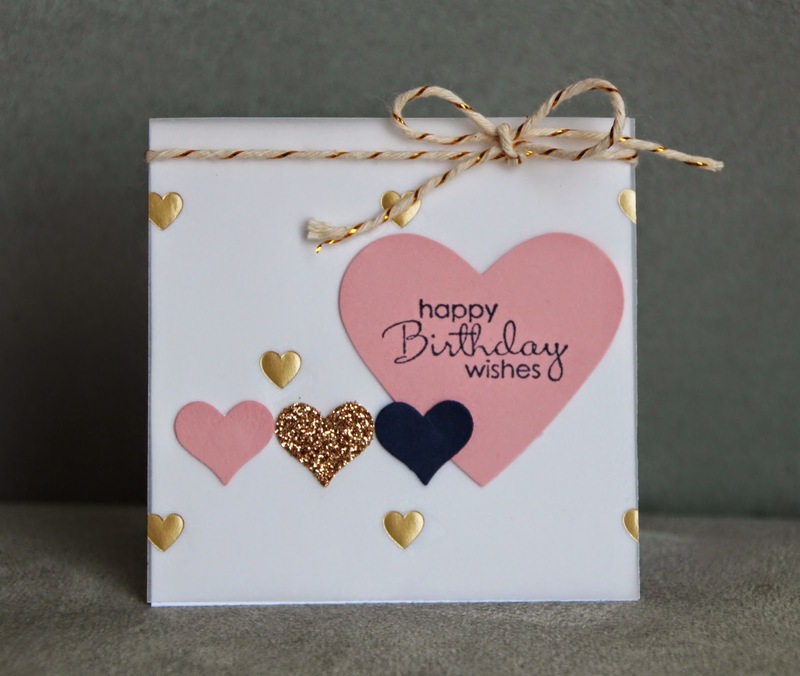 The color combo on this card is Blushing Bride, Night of Navy and Gold.